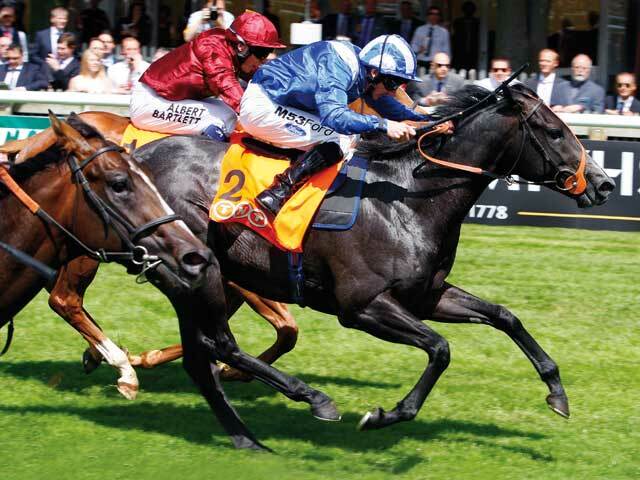 Won Gr.2	July Stakes, 6f, Newmarket, beating Heavy Metal (Gr.2 at 2), Gale Force Ten (Gr.3), Chilworth Icon (Gr.3). 2nd L Windsor Castle Stakes, 5f, Royal Ascot, at 2, beating Bungle Inthejungle (Gr.3), Top Notch Tonto (Gr.3), etc. 2nd Gr.3 Horris Hill Stakes, 7f, Newbury, at 2, giving 5lbs all round. 3rd L	George Stubbs Stakes, 8f, Newmarket, beating Fantastic Moon (Gr.3).